In early 2015, after leaving my career in corporate america, I set out on a backpacking trip throughout southeast Asia. While visiting Siem Reap, Cambodia, I was approached late one night by a young girl, no older than the age of 6, carrying her newborn baby sister in a blanket, tightly wrapped around her chest. She was begging for money to buy milk to feed the baby. The moment I made eye contact with this young girl, I felt as if my heart stopped. I remember knowing deep down that the 5USD I had in my pocket wouldn’t make the lasting impact that this child needed to change the current (or future) circumstances of her life. The desperate and empty look in that child's eyes has stayed with me to this day. A few months later, upon my return home to America, I felt compelled to do something to help raise awareness about the devastating reality many young girls in this beautiful country face, and to do my part to help facilitate a new reality, one where Khmer girls have access to education, opportunity, and basic human rights. In September 2016, with the help of some incredibly supportive friends and family, I launched Collective Humanity. 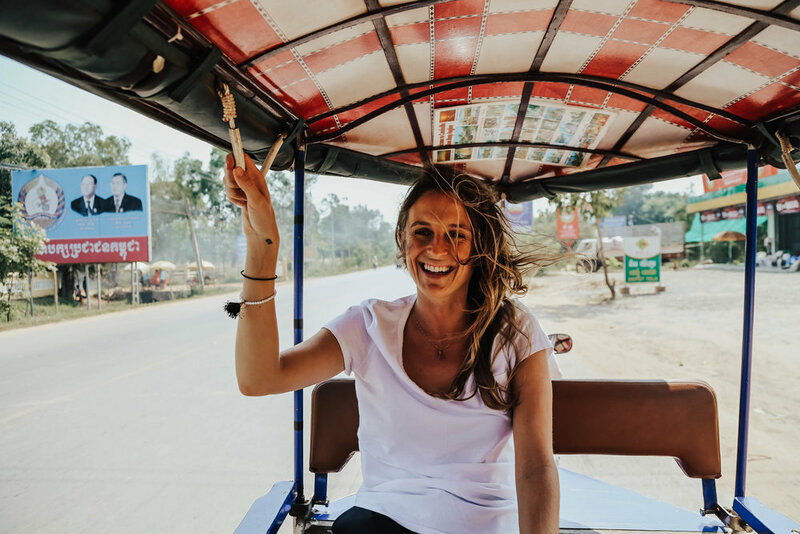 In January of 2017, I traveled back to Cambodia to establish relationships and build out economic empowerment programs for young girls with fair trade artisan co-ops. One thing led to another, and by March 2017 we were up and running selling artisan products, creating demand for dignified fair trade jobs, and accepting donations. I remain amazed and in awe of the truly miraculous series of events that led to this organization's existence, and the ongoing support of donors, family, and friends. Words cannot express what your contributions and encouragement mean. To our artisan partners abroad, I am forever inspired and humbled by your hard work and dedication in the face of incredible adversity. I am eternally grateful to bear witness to the grace, resilience, and love that pours out of each of you as you fearlessly pave the road to a brighter future for the women in your country. You ladies have changed my life forever. Thank you, maybe most of all, for affirming what Beyonce knew to be true…. Who runs the world? Girls.